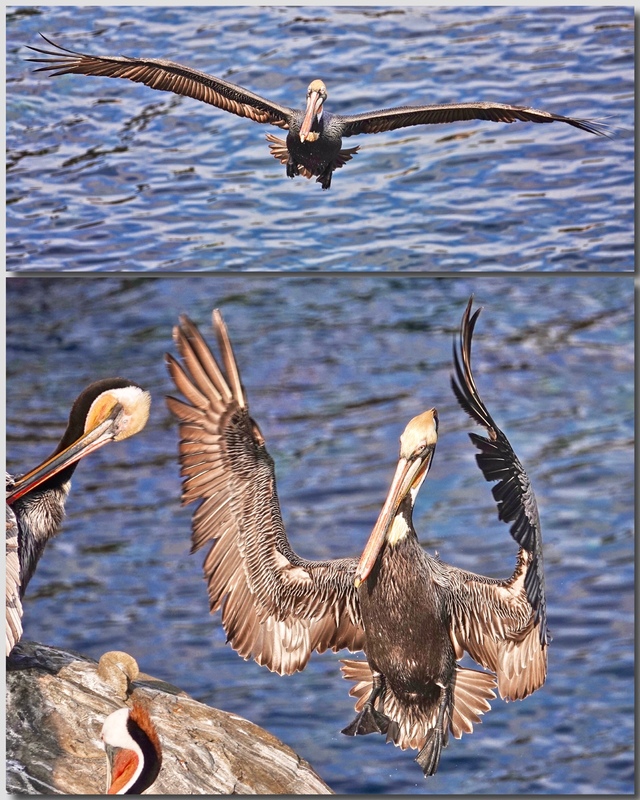 Standing on the tops of the cliffs at La Jolla Cove in California, you often get to photograph Brown Pelicans in the air from above. In the top panel this bird was already coming in to land in the rookery. You can see the flared tail and the curve of the wings. The second shot is full braking just before touchdown. Sony RX10iv at 600mm equivalent. Program mode with my birds in flight and action modifications. 1/1000th and 1/1250th @ f4 @ ISO 100. -1EV. Processed in Polarr.